An incredible new voice in Australian fiction brings a story as lush, evocative and as dramatic as the Daintree. 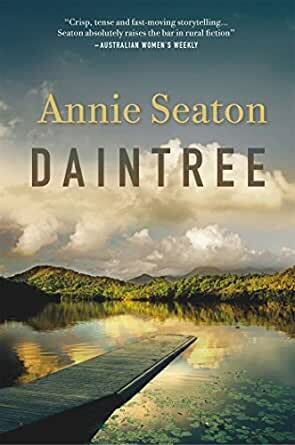 Set in the most exquisite place in north Queensland, the author writes with such painstaking detail of the community life that's hard but rewarding in remote bushland areas of Australia. Most of the characters are true to live survivors and prefer little interference from city folk but tolerating tourists. The pace of the story unfortunately mirrors the setting in the bush it's slow at times and romance is merely brushed on when it comes to Emma and Jeremy, whose connection is tainted by Emma's very judgemental attitude, after they ended badly 6 years previously. There is quite a bit of excitement in the topics as all is not what it seems and this comes to a head 3/4's way through the book. The draw of this series is the very unique Australian bush which is one of the oldest rainforests in the world. Ms Seaton knows how to spin a yarn. But then she creates fully-formed characters to fill that yarn, giving even the secondary and incidental characters some depth. The mystery was not difficult to solve, although there was one surprise baddie. I enjoyed that Jeremy and Emma were grown up enough to put aside their differences just as soon as they realised they had both been lied to, and from then on, they worked together, no stupid plot devices to create more drama between them. They were good for each other. All in all, a very satisfying, very detailed read, without getting bogged down. Recommended. Totally excellent. It was an excellent setting with a good storyline and a good mixture of aboriginal and medical staff. An excellent storyline that included a group of smugglers. Once again Annie has written a winner. Daintree is a visual feast that places you squarely in the middle of the location. Read it in one sitting. 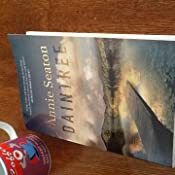 Daintree has a feisty heroine and a gorgeous hero enmeshed in mystery, romance and a thrilling, pacy story. Congratulations Annie. I thoroughly enjoyed this book, I found it hard to put down. A mix of romance, action and intrigue set in a small town. Enjoyable read. The descriptions are colourful and pull you into the story.